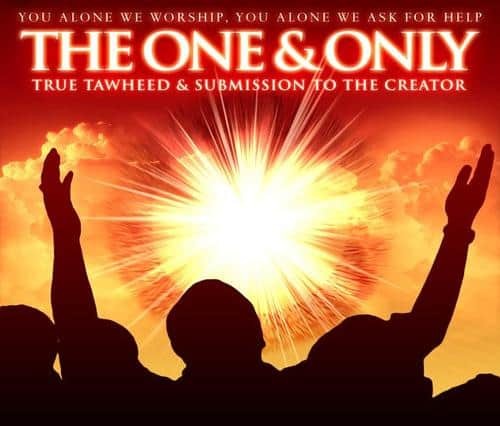 Monotheism (Tauheed or Tawheed), i.e., belief in one Allah alone is such a strong Faith and foundation of Islam upon which the whole structure of Islam architect. All Prophets have called their people on True Faith. Worship is the exclusive right of Allah owed to Him alone. Monotheism is such an essential part of Faith that Prophet (P.B.U.H) during the thirteen years of His preaching in Makkah focused on Tauheed (Oneness of Allah) mainly and called people upon Tawheed by forbidding any partners to Allah. 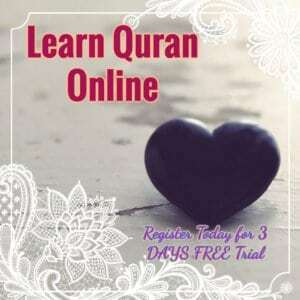 The Holy Quran is full of this concept of Monotheism, and most of the verses of AlQuran are about Monotheism. 12. “O humankind! Worship your Lord (Allah), Who created you and those who were before you so that you may become Al-Muttaqun (the pious). This is a brief description on Monotheism related Quranic verses, but if we read Quran and Hadith, we come to know that they are full of teaching regarding Oneness of Allah. Sura Ikhlas comprehensively summarizes Islamic monotheism. I bear witness that there is no God but Allah and Prophet Muhammad (peace be upon him) is the last and final messenger of God. those who ought success must keep relation with HOLY QURAN. Masha Allah. Such a greatest reminder its. All the best. Wajazakumullahu Khairan Ameen. Masha Allah very well written article , really thanks for sharing and for reminding us. I bear witness that there is not god but Allah an Prophet Muhammad (peace be upon him) is messanger of Allah. May Allah subahanatala bless you for the evidence you give regarding Monotheism (Tauheed). 1. 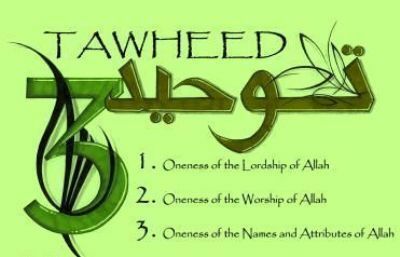 Tawheed-ur Ruboobeeyah (The Unity of Allah’s Lordship). Mean we worship only one lord, the absulute. he is the Khaliq (the Creator) of everything, AI-Malik (The Owner of the universe). Give life and death and give sustenance to all . There is none compare to him. 2. Tawheed-ur Uluheeyah (The Unity of Allah’s Worship). 3. Tawheed-al-Asma Wa-Siffaat: which of Allah’s names and attributes we believe. May Allah (subahanatala) protect us from shirk and shower all of us with his mercy and blessing.